Learn how to successfully negotiate conflicts and deepen our most intimate relationships in this practical and thoughtful guide by an experienced Buddhist teacher, psychotherapist, and couples counselor. A committed relationship, as most people see it today, is a partnership of equals who share values and goals, a team united by love and dedicated to each other’s growth on every level. This contemporary model for coupledom requires real intention and work, and, more often than not, the traditional archetypes of relationships experienced by our parents and grandparents fail us or seem irrelevant. 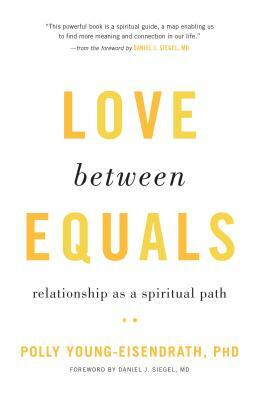 Utilizing the wisdom of her years of personal and professional practice, Young-Eisendrath dismantles our idealized projections about love, while revealing how mindfulness and communication can help us identify and honor the differences with our partners and strengthen our bonds. These practical and time-tested guidelines are rooted in sound understanding of modern psychology and offer concrete ideas and the necessary tools to reinforce and reinvigorate our deepest relationships. Polly Young-Eisendrath, PhD, is a Jungian analyst, psychologist, and psychotherapist in private practice. She is the clinical associate professor of psychiatry at the University of Vermont and the founder and director of the Institute for Dialogue Therapy. She is past president of the Vermont Association for Psychoanalytic Studies and a founding member of the Vermont Institute for the Psychotherapies. Polly is also the chairperson of Enlightening Conversations, a series of conversational conferences that bring together participants from the front lines of Buddhism and psychoanalysis. Polly has published sixteen books, as well as many chapters and articles, that have been translated into more than twenty languages, including The Self-Esteem Trap: Raising Confident and Compassionate Kids in an Age of Self-Importance and The Present Heart: A Memoir of Love, Loss, and Discovery.